The Washington Post’s popular Web site directs readers of Middle Eastern news to a standing feature — "One Land, Two Peoples." This backgrounder, or "graphic" in Post nomenclature, purports to give a thumbnail sketch of Jewish-Arab history from biblical times to the present. In actuality, "One Land, Two Peoples" repeatedly short-changes Jewish and Israeli history, and repeatedly exaggerates Arab-Islamic claims. It ignores basic facts and blurs Arab aggression. As a result, it is anything but a reliable resource for the Arab-Israeli conflict. Indicative of the graphic’s pro-Arab tilt is its source list. Of the 12 entries, two – historian Martin Gilbert and the Israeli Foreign Ministry – could be considered favorable to Israel. Several others are essentially neutral. At least four vary from pro-Palestinian to anti-Israel and even anti-Semitic. And one other is the United Nations, long a hub for the campaign to delegitimize Israel. Zionist leaders in the United States, in Great Britain and throughout the world, not only waged their "holy war" against Germany and the Germans in the economic field, but they initiated a world-wide propaganda campaign to block any avenue of understanding, or settlement of disputes, between Germany, Great Britain and France. The pressure which Zionists were exerting upon Great Britain and France to wage war against Germany was quite apparent everywhere and could not be mistaken. To these "Elders of Zion" conspiracy ravings, Nakhleh adds the accusation that "the Zionist and Israeli leaders have followed in the footsteps of the Nazis." Nahkleh dedicates the encyclopedia to two of his heroes. The first is the pro-Nazi Palestinian Arab leader Haj Amin al-Husseini, who incited anti-Jewish pogroms in pre-war Palestine and then spent World War II in Berlin advising Nazi leaders. The second is Saudi King Faisal ibn Abdul Aziz, who also promoted anti-Semitic conspiracy theories and once handed a copy of the czarist forgery The Protocols of the Learned Elders of Zion to then Secretary of State Henry Kissinger. On May 4, 2004, CAMERA asked Foreign Editor David Hoffman to delete the reference to Encyclopedia of the Palestine Problem. This was separate from a long-standing, itemized request for corrections to the text of the backgrounder. Hoffman declined in a May 6 letter, saying material in Nakhleh’s introduction was not used for "One Land, Two Peoples" and that the encyclopedia itself was part of "a wide variety of sources mentioned in the credit line, and…others consulted as well which have not been listed…" In other words, if grouped with other sources, Nakhleh’s incitement-as-history was acceptable. Richard W. Bulliet, director of Middle East Studies at Columbia University, is–along with Philip Mattar and Reeva S. Simon–co-editor of the Encyclopedia of the Modern Middle East. 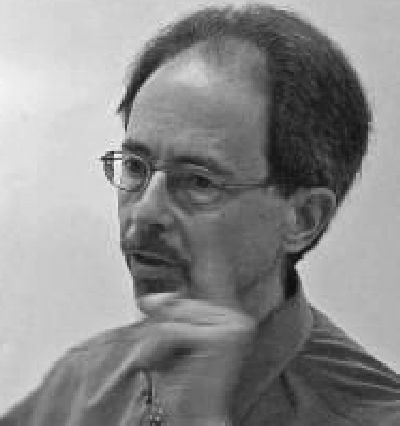 Bulliet is among those academics critiqued by Martin Kramer in his book Ivory Towers on Sand; The Failure of Middle Eastern Studies in America. Kramer notes, for example, that Bulliet has claimed that defining democracy as America does is part of a "world hegemonic discourse of Western cultural imperialism." Simon is an assistant director of Middle East Studies at Columbia and Mattar has served as executive director of the Institute of Palestine Studies and associate editor of the Journal of Palestine Studies. In addition to these one-sided sources, CAMERA pointed to the glaring omission of many more authoritative texts. These include The Encyclopedia of Judaism; The Encyclopedia of Zionism; The Claim of Dispossession, by Arieh Avneri; The Peace to End All Peace, by David Fromkin; A History of the Jewish People, by Haim H. Ben-Sasson; A History of Zionism, by Walter Laqueur; The Arabs in History by Bernard Lewis, The Siege: The Saga of Zionism and Israel by Conor Cruise O’Brien, and A History of Israel:From the Rise of Zionism to Our Time by Howard Sachar. Regardless, at press time "One Land, Two People" continued to refer Washington Post readers to the same dozen sources. CAMERA’s criticism of the backgrounder’s sources, and the Post’s refusal to remove Nakhleh’s Encyclopedia of the Palestine Problem, epitomize the larger problem. In a Sept. 4, 2003 letter, CAMERA requested corrections to more than 30 itemized errors of fact and of omission in the text itself. Having received no response apart from the separate discussion of Nakhleh’s work, CAMERA repeated its request for numerous necessary corrections. In a June 2, 2004 letter to the Post, 32 specific errors and distortions were identified. Virtually all of them implicitly or explicitly support Arab and Islamic claims, undercut those of Jews and Israelis, and airbrush Palestinian crimes and intransigence. CAMERA supplied the information required to remedy them. tens of millions of additional words that could be written to describe and explain these events …we have to work with the confines of one page [of newspaper copy reformatted for the Web site]. is not comprehensive, true. But …I do not see any way to accommodate all these additional claims, counter-claims and interpretations on one page. Reporters and editors of The Post consulted widely in producing this and … feel that it was well-grounded. CAMERA acknowledges that "One Land, Two Peoples" is a Web site sketch, not an encyclopedia. Nevertheless, the Post must be accurate and provide information in context. This can be accomplis hed with the deletion and addition of a comparable number of sentences. "One Land, Two Peoples" is linked to current articles on Arab-Israeli and Middle Eastern news at www.washingtonpost.com. Its errors can be divided into those dealing with modern events—beginning with the British Mandate for Palestine—and those covering earlier history. • Dealing with Arab riots, the Post says "Jewish-Arab violence broke out with bombings and murders in the 1920s." This assertion deceptively implies equal responsibility despite the fact that one side–the Arabs–launched and perpetrated the violence. According to historian Martin Gilbert, the anti-Jewish riots of 1929 in which Arabs were incited by wild, false claims of Jewish designs on Islamic shrines killed 133 Jews. Of the 116 dead on the Arab side, all but six were killed by British police. • The backgrounder also claims misleadingly that "Britain responded with full military force and thousands of Arabs were killed or jailed" in the Arab revolt of 1936 – 1939. In fact, British forces often looked the other way when Arabs attacked Jews, or responded belatedly. They cracked down when Arab violence threatened British interests directly. • "One Land, Two Peoples" cites a figure of 4,000 Jewish "soldiers" lost in Israel’s 1948 War of Independence. Yet the accepted figure is nearly 6,400. This includes soldiers, civilians with minimal military training, and unarmed noncombatants for a total of almost one percent of the new country’s 650,000 Jews. • The same obfuscation is found in the backgrounder’s account of recent violence. It claims that "Palestinians again rebelled against Israeli occupation" in 2000 after "final agreement…eluded the parties." But peace did not "elude the parties"— peace was rejected by Yasir Arafat who walked away from an Israeli offer to end the "occupation" and launched a terrorist war instead. • The backgrounder echoes Arafat’s line by stating that in 2002 "Israel’s military invasion of Palestinian cities and refugee camps has weakened the Palestinian Authority." The Post omits that Israeli forces returned to Palestinian areas from which they had withdrawn only after repeated, large-scale terrorist attacks against civilians in Israel proper, the last straw being the 2002 massacre of 30 people at a Passover seder in the Park Hotel in Netanya. Also unmentioned was PA refusal, contrary to Oslo-related obligations, to destroy the terrorist infrastructure. This Palestinian failure compelled Israel to act. • Arab violence against Israel and Jews is minimized, as is inter-Arab violence sparked by Palestinians. "One Land, Two Peoples" notes that "the PLO leadership had its headquarters in Jordan, where it established a virtual state within a state" and "the PLO was expelled by Jordan in 1970…" This superficial description omits the Palestinians’ revolt against King Hussein’s regime that preceded the PLO’s expulsion. In three weeks of "Black September" fighting the Jordanian army killed approximately 4,000 Palestinians, the majority non-combatants. • Discussing the 1967 Six Day War and its aftermath, the graphic mentions Israeli settlements in the disputed territories. It does not mention Israeli readiness then to return virtually all the territories in exchange for peace. It omits the Arabs’ post-war declaration of the "three no’s"—no recognition of Israel, no negotiations with it, and no peace. • The Post claims that the 1991 Madrid conference occurred "after Palestinians rebelled against Israeli occupation in 1987." In reality, the Madrid conference occurred as a result of the U.S.-led coalition victory over Iraq in the first Persian Gulf War and the decline of the Soviet Union, previously a key supporter of PLO and Syrian obstruction of American Middle East diplomacy. "One Land, Two Peoples" distorts the dual Arab-Israeli refugee problem, implicitly supporting an Arab perspective focused exclusively on its own experience that omits totally the Jewish side. • The Post refers to 750,000 Arab refugees, "many pushed out of their homes." It uncritically states that "to this day there are 3.6 million U.N.-recognized Palestinian refugees." Based on figures from the U.N. Mediator for Palestine at the time, and the last British and first Israeli census figures, there were between 472,000 and 650,000 Arab refugees. Moreover, most were not "pushed out of their homes" but fled at Arab instigation to neighboring Arab states or territory controlled by them. Of those who fled, more than 50,000 were allowed to return. Notably, "refugee" status was granted any Arab (including numerous recent migrants) who claimed to have lived in what became Israel for a minimum of two years. Palestinian-supplied U.N. statistics notwithstanding, the backgrounder’s 3.6 million figure overwhelmingly counts people who claim to be descendants of refugees. Yet of all the post-World War II refugee groups – totaling tens of millions of people – only these Arabs have been allowed to inherit refugee status en masse. •Meanwhile, the Post is silent on the fact that upwards of 800,000 Jewish refugees fled Arab countries and Iran in the late 1940s and early ’50s, with nearly 600,000 settling in Israel—where they and their two million-plus descendants have been absorbed as citizens. Other serious errors in "One Land, Two Peoples’" modern account include incomplete or misleading references to pre-Holocaust Jewish immigration, to Security Council Resolution 242, to Arab aims in the 1973 Yom Kippur War, to "Palestine" instead of the West Bank and Gaza Strip, and failure to mention illegal Arab immigration into western Palestine. • A statement that "by 600 B.C. [or B.C.E.— Before the Common Era] the Assyrians and Babylonians had overthrown the Israelite kingdom" is followed by a long list of conquerors, suggesting that the Jews had been displaced from the land by then. Omitted are major parts of Jewish hi story: the return to Judah from Babylonian exile 70 years after the destruction of the First Temple in 586 B.C.E., reunion with those who had not been exiled, restoration of Jerusalem and construction of the Second Temple, and reestablishment of an independent state in 140 B.C.E. • The assertion that "when the Romans expelled the Jews, they scattered all over the world." This ignores the fact that many Jews remained in the Galilee, just north of Judah. • The statement that al-Aksa mosque was built in 637 when, in fact, Jerusalem’s Muslim conquerors added a dome to what previously had been the Byzantine Church of Saint Mary of Justinian, changed the name to suggest a Koranic association and converted it for Islamic worship around 711 C.E. • The observation that al-Aksa was erected "where the Jewish temple [sic] may have stood," (emphasis added) notwithstanding the strong biblical and extra-biblical evidence for the First and Second Temples including, for example, Josephus’ The Jewish Wars. • The assertion that, for the ancient period, "accounts of this era are based on oral history recorded in the Old Testament [the Hebrew Bible]." This omits archaeological evidence, Greek, Roman and non-biblical Jewish written sources, and monumental artifacts outside the land of Israel such as the Arch of Titus in Rome. • The statement that the Romans "were ousted by Muslim forces." The western Roman empire was succeeded in the Near East, including Judea, by its eastern offshoot, the Byzantine Christian empire. Byzantium ruled for three centuries before the Muslim conquest. "One Land, Two Peoples" has been on the Post Web site for more than two years. Changes in the text have been made — but many more are required before this graphic becomes a reliable background source. Failure to make them can only call into question the paper’s commitment to accuracy.